A spectacular 13.5 foot (162 in, 4.1 mt) tall antique chandelier was originally installed in an early 20th century Chicago theatre. The structure encompasses cast bronze acanthus leaf designs with their original poly-chrome coloration and is accented with dramatically draped crystal. 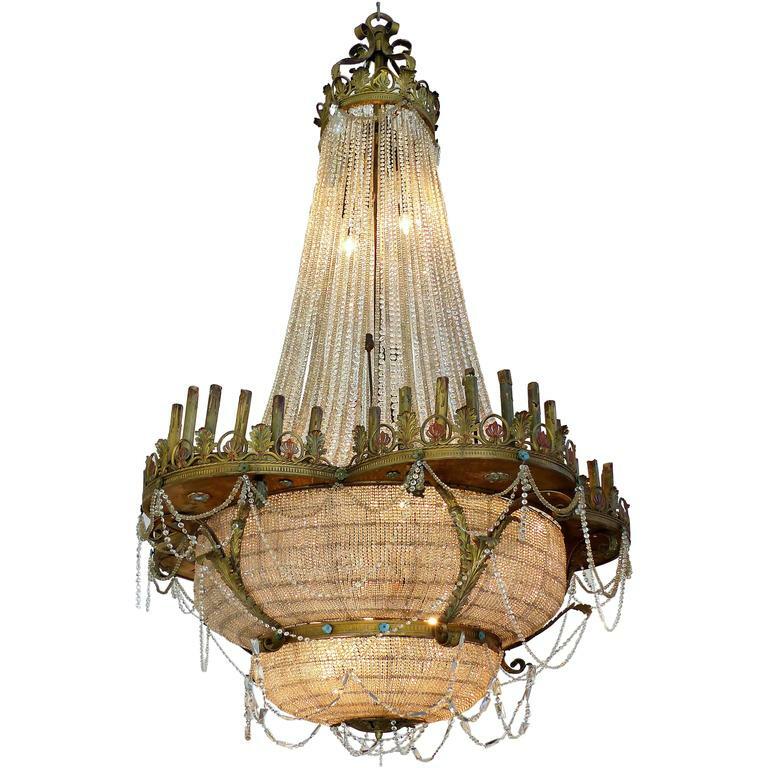 This very large antique chandelier would be an elegant addition to a commercial or large residential installation.